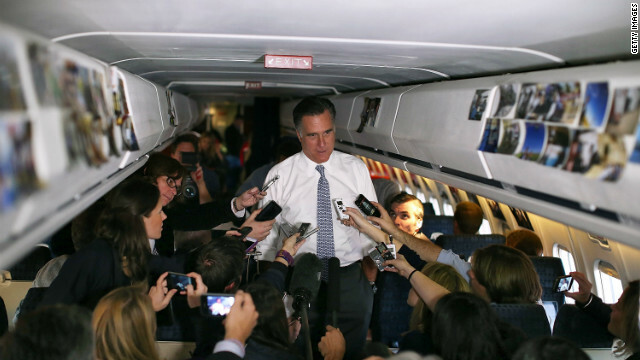 (CNN) – Hours before the polls closed Tuesday, GOP nominee Mitt Romney told reporters on his plane that he's so confident in a win he's only prepared a victory speech. "I've only written one speech at this point," Romney said, adding the text of that address was 1,118 words long. Saying "intellectually" he's felt he was going to win the election for a long time, Romney said his final campaign stops in Ohio and Pittsburgh Tuesday gave him an emotional jolt as well that victory is within his grasp. As for any campaign regrets, Romney said he had few. "I'm very proud of the campaign we've run," Romney said, adding that "no campaign is perfect." "I am very pleased. I feel we have put it all on the field. We left nothing in the locker room," the candidate said. But he will flip flop and write one on the napkin later tonight.